There is still plenty of room for improvement, but Renault believes their Belgian GP performance showed they are back in the mix for top-three positions. The French company has struggled with reliability problems for the best part of two seasons, but there were glimpses of what they were capable of last year when Daniel Ricciardo won three races while Red Bull appeared on the podium several times. Top-three finishes have been harder to come by this campaign though and they had to wait until the Hungarian GP to finally hit the mark with the Red Bull pair of Daniil Kvyat and Ricciardo finishing second and third respectively, and Max Verstappen in the Toro Rosso fourth. Although there was no podium at Spa, Kvyat finished fourth while Verstappen was down in eighth, but it was a mixed day as Ricciardo and Sainz both failed to see the chequered flag. Cyril Abiteboul, managing director of Renault Sport, says they are now capable of taking the fight to the teams ahead of them. "Positives and negatives. 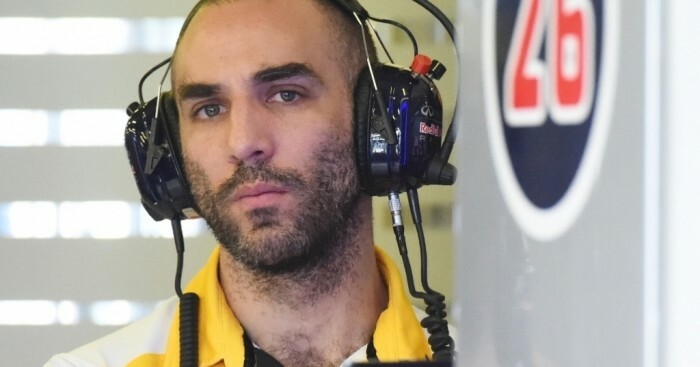 We saw Renault-powered cars taking both Ferrari and Mercedes-powered ones down the straights and fighting for position through the corners," he told RenaultSportF1. "We also scored two points finishes at the most power sensitive track of the season. But we still had two DNFs, one of which cost a possible podium, which we need to fully understand. "While there is room for improvement on reliability, on the performance front we are back in the fight for podiums and points with both teams."